SPECTREOUTREACH.com: A CANNED VERSION OF STARBUCK! A CANNED VERSION OF STARBUCK! When majority of the people at Bolehland talk about STARBUCKS, the 1st thing that run thru their demonic mind that it is a great place to sip great hot or cold coffee for hours, a place to chill with friends, free wifi *until your notebook pc battery runs out if u forget to carry a spare charger/plug around* .To top it up, it has gathered a quite number of obsessed follower here for example like Jess *an Nuffnanger from Bolehland which is self confessed Certified GreenTeaLatte freak (according to her) but one thing that bugged me and wondering for long time is why there is no Canned version of their drink. I am certain many fella in this planet are wondering the same thing too? 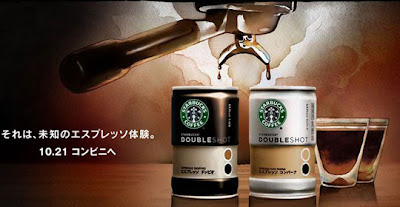 But, i have great news for everyone because there is going to be a canned version call STARBUCKS DOUBLESHOT starting from 21st OCT 2008 at Kanto region,Japan. 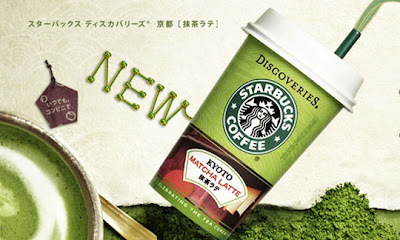 Don't be surprise from now on, you can find Starbucks at nearest 7-11 or major shopping center soon. NOW! Doubleshot directly from a vending machine near you!